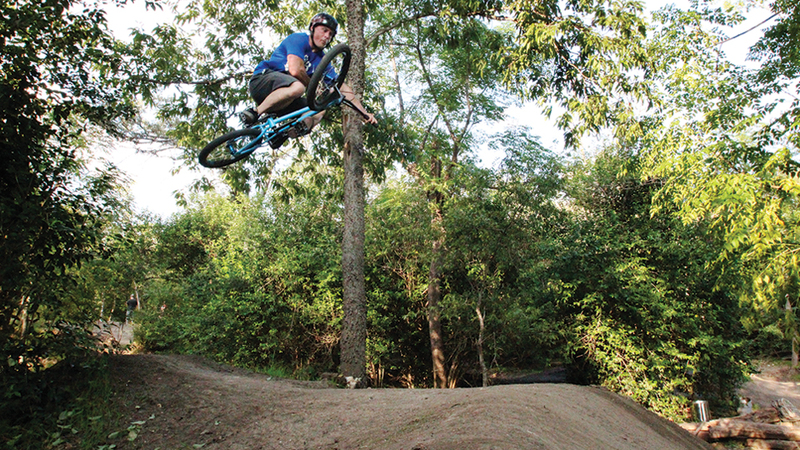 QBMX, QBP’s BMX division, is composed of first bikes, neighborhood jumps, double dares, huge tabletops, won races, and full-contact high-fives. These guys love helping kids get into BMX, and understand from experience why people stick with it. Twenty inches. That’s the wheel size that often represents a turning point in our life with bikes. We tested our mettle and survived on that hand-me-down, 20-inch-wheel, “little kid” bike. Then our elders decided we’d earned something bigger, flashier, and capable of longer-range travel. More often than not, though, this first bike—20-inch wheels and all—is where our personal attachment to bicycles, and the feeling we get from them, began. We all remember our first bike, which was likely made in the classic BMX style. The team at QBMX is loyal to the 20-inch wheel, and has been as long as they can remember. While some cyclists that started with that wheel size kept moving on to bigger diameters, this crew always comes back to the “20” for their favorite type of riding. Being around and staying actively involved with BMX has led to interesting travel and lifelong friends for these guys, and allowed them to witness the developments, and know the people, that have made BMX what it is today.That wheel size devotion has led them to jobs they love, which comes through in how QBMX fosters the scene and the shops that support it. Give younger people a great in-shop experience, and they will keep coming back over the course of their riding lifecycle, be it for BMX, mountain, or road. Schlie adds, “We will be out around the U.S. this summer with a bunch of teams set for great times, riding, and stopping into shops.” And most importantly, O’Neil gives a heads up for “more QBMX eating challenges!” Regardless of what the future holds, QBMX will be there, ready to keep feeding the flame. For any and all questions regarding QBMX, check out the website at qbpbmx.com.